A global investment glossary that contains over 900 valuable terms, phrases and acronyms related to financial derivatives and commodities. It was written with the goal of providing you with a simplified explanation of terms and related terms that can be overwhelming and confusing. The investment community has its own unique language where terms and phrases can be local, regional or global. A sound knowledge of this language can help all investors make well-informed decisions. In this edition, you build upon the terminology that you were introduced to in The Language of Global Finance: Stocks, Bonds and Investments. This book goes beyond terms that are purely investment related as options, futures and commodities all have a higher focus and interest related to risk management. With this resource at your side, you will quickly be able to better understand the concepts and strategies that are used with derivatives and commodities. 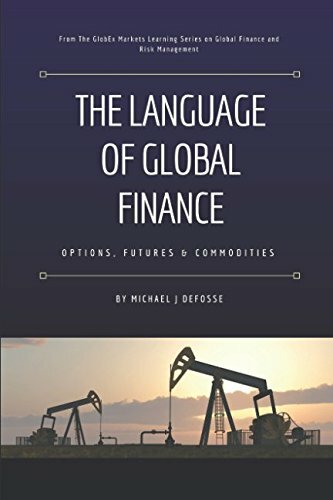 The Language of Global Finance: Options, Futures and Commodities is part of the GlobEx Markets Learning Series on Global Finance and Risk Management, whose primary goal is to help all investors better understand the phrases and terminology of the investment and risk management communities.